Concrete is responsible for a huge proportion of global carbon dioxide emissions. A few companies want to reverse this cycle by sequestering carbon in building materials. 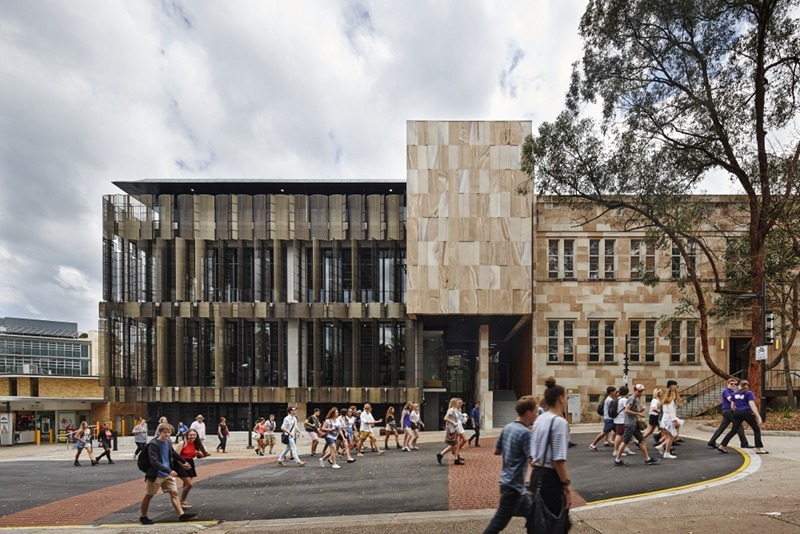 The University of Queensland Global Change Institute in Brisbane, Australia, used low-carbon geopolymer concrete rather than portland cement concrete. Driving down California’s Coastal Route 1 from Santa Cruz to Monterey, you might notice a couple of massive 500-foot smokestacks venting flue gases from one of California’s largest power plants, Dynergy’s Moss Landing Power Plant. This 2,500-megawatt (MW) facility emits 2.3 million tons (2.1 metric tons) of carbon dioxide annually, according to the California Air Resources Board—making it one of California’s largest contributors to global climate change. Yet hidden in this complex are several research projects attempting to figure out whether carbon dioxide can be economically recovered from the flue gases of power plants and sequestered into concrete or other mineral products that could be used in the built environment. Similar projects are under way in Texas, Colorado, Canada, the United Kingdom, and elsewhere. If it works as proponents—and researchers around the world—are proposing, one day in the not-too-distant future, the concrete we use by the billions of tons per year might provide a strategy for slowing climate change. That would be quite a switch: concrete is the most widely used construction material in the world today and, with its portland cement content, is one of our largest emitters of carbon dioxide. Concrete as a CO2 Sink?